One focus here at CARD is helping adults on the spectrum find employment at a job where they can excel. Because of this, we know the struggles that these individuals will inevitably face on this crucial path. Even the most talented, hardworking of people with ASD can struggle with some social, communication, and behavioral issues that might dissuade potential employers from looking their way. Here in this blog, I want to highlight some of the strategies people on the spectrum can utilize to make themselves more appealing in the job market. If you follow these tips, hopefully it will help you take that next step that you deserve. Knowledge is power, and the most important thing you can do for yourself is to know your rights. As a person diagnosed with autism spectrum disorder, you are protected under the Americans with Disabilities Act (ADA), and the Rehabilitation Act. The ADA is, essentially, a “wide-ranging civil rights law that is intended to protect against discrimination based on disability”, while the Rehabilitation Act prohibits discrimination on the basis of disability in programs conducted by Federal agencies. I highly suggest reading this, from their official website. It explains it all in a very easy to understand manner. Knowing all this is important so you are not taken advantage of. Companies are legally obligated to give you a fair chance just like everyone else, and as long as you realize this, you will be in good legal standing if you feel discriminated against. Of course, just knowing your rights doesn’t guarantee you a job by any means. You still have to deserve the job in the employer’s eyes, so here are some things you can do to show that you will be a productive member of the team. First of all, realize that autism is not some crippling disease, but in fact something that makes you unique, and gives you a distinct skillset! Many people on the spectrum are lauded for their trustworthiness, reliability, creativity and low absenteeism. Stress these things in your job interview (if they apply to you, of course). Unfortunately, many employers have a negative stereotype of workers on the spectrum, so it’s up to you to prove to them that those things aren’t true, and that you would be a valuable asset to the team. Also, and this goes for everyone, not just those on the spectrum, but following up is essential if you want the job. Be persistent. Let them know that this is important to you. It will show them your determination, and will make them believe that you will be just as hard of a worker as someone not on the spectrum. Now, getting employed is only half the battle. Keeping a job can be just as difficult, if not more so. That will be the topic of my next blog; until then, I hope these strategies will help you in your road to employment.Good luck! What is the first thing that comes to mind when we think of supports for families of children with ASD? Probably service categories: respite, in-home ABA therapy, good placements and related services on the IEP, financial assistance, assistive technology – that sort of thing. Increasingly, families are discovering that services are not available or they are limited, due to funding cuts, lengthy waiting lists, and shortages of providers. Finding ourselves in this situation, it is tempting to feel as though we are without any support at all, left to manage as best as we can, even though we feel our children’s entire future is at stake, and the “system” is letting us down. • We can try to become one-person autism fix-it machines, learning how to implement therapies at home, homeschooling our children, or starting our own commercial or non-profit organizations to provide services, funding, or other options. • We can ask for help from family members, friends, co-workers, fellow worshipers, and others, to give us time to run to the store, provide after-school care, or to help implement behavioral interventions. However we decide to handle things, there is another type of support system we can add to our toolkit that we might not have considered. This is something that might not become apparent until years down the road, after our children have finished school, ended years of after-school therapy sessions, and we have found some kind of peace with the diagnosis, acceptance of the imperfections of public and private systems that are supposed to help, and have come to accept our own strengths and limitations, for whatever successes or failures we have managed to have, as parents. Dear younger me: Look in the quiet places of your life that have nothing to do with ASD, ABA, IEP, SSI or XYZ. It means the peace, strength and acceptance you will find years down the road doesn’t necessarily come from yelling at people on the phone, or convincing people in power to do things your way, or “winning” the biggest battle of all – “fixing” the autism. Any or all of those may or may not work out. What do you mean by “quiet places”? Where do I look? What happens while you are dealing with the big “A” in the room, is that your life as a human being continues to go on all around and inside you. You may find love, happiness, acceptance, and inclusion in places that aren’t even on the checklist of “supports” you are going after on behalf of your child. 1. What about the teacher who says she is happy to see your child come to school in the morning because his fantastic smile always makes her day? 3. What about the spiritual leader, or counselor, or other mentor, who helps you gain insight into the purpose of your life, and helps you believe in yourself? 4. What about that friend or family member who takes a special interest in your child and always asks for updates and news on the latest successes? Even after all these years, dear younger self, I still run to the computer every day to send mom photos of my child’s latest painting or tell her a story about a little breakthrough. 5. What about that moment when you revisit an interest you had pre-autism, and get back into a spiritual practice, or dance, or theater, or sport, or fiber art, or painting, or finishing a degree you left half done in order to become a super autism parent? Let’s take a sensory tour of all those places. Walk into a place of worship, or meditation center. Feel the years of devotion, prayer, silence and peace that fill the space. Walk into a dance studio. Look at the beautiful floor and the mirrors. Walk into a theater. Smell the paint and sawdust, run your hands over a few seats. Walk into a gym or locker room. Smell the sweat. Remember what it feels like to be physically exhausted and emotionally flying. Walk into a fabric or knitting store. Touch some fabric or yarn. Walk into an art store. Smell, look, explore. Go online and look at next semester’s classes. Register for the one that excites you the most. If they still use physical textbooks, walk into the bookstore and take a sniff. If not, go to the office supply store and pick up a notebook and pen. Smell that place, and see if you don’t get an extra little thrill. Whatever it was that got you excited, put yourself physically in touch with it and briefly fill your senses with that particular environment. Then go home and try, younger me, to sit quietly for a moment or two, and forget about all the advocacy and urgency and things that aren’t going right all around you.I know there are many. Just let images float through your mind of people, moments, places and activities that make you feel happy, alive, and peaceful. Don’t put words to it. Just let it all be there for a bit. And by the way, younger me – try, before too many more years go by, to stop saying No to all those things in number 5 because you are too busy. Say yes to something small. See if your child might join you in doing something together. Crack open that part of your life where your deepest joys await you. For all you know, doing things that excite and fulfil you might be an inspiration to your child to develop his or her own interest or hobby. A parent-child relationship is built on the foundation of so much more than the services and supports we usually look to when a child is diagnosed. Sometimes the most profound inner strengths are grown and nurtured in the quiet corners of our lives that go unnoticed and under-appreciated. Go there. Find what can be loved and nurtured. Let it grow and support you in ways you can’t imagine. I want to highlight the importance dads play in raising a child on the spectrum. This is not meant to understate the significance of moms, but simply to give fair representation on both sides of the parenting duo. Perhaps if we in the community start giving them the recognition they deserve, more dads will be motivated to get more involved with their kids’ development. This is something we feel very strongly about, and something we feel needs more attention! Ever since I was diagnosed with ASD at age 15, I’ve noticed the severe lack of not only father, but male involvement in the autism community as a whole. Why is that? Many researchers in recent years have noted the under representation of fathers in both psychological and sociological child-parent studies. They almost exclusively focus on the mothers, which can be seen as devaluing the paternal role. Some believe that this leads to a sort of self-fulfilling prophecy, where the dads believe they’re not as important in their children’s lives, and as such, it becomes an unfortunate reality. So what exactly is the role of fathers of those on the spectrum? The answer is quite simple, in theory; it’s the exact same as that of the mother. Reality, however, paints quite a different picture. From what I’ve gathered (and I quite agree with this), many believe that it comes from the pre-conceived cultural notion that the mother has to be the more caring, loving and emotional parent, while the father is seen as the cool, detached disciplinarian. Many dads are also more prone to wanting their kid to be a certain way; i.e. have similar interests and careers when they grow up. With a child on the spectrum, you can see why this would be an issue. Kids with ASD need that extra parental devotion, since it’s difficult for them in their prepubescent and adolescent lives to develop along the same lines as the general populace without said support. The truth is that mothers in our culture are simply more inclined to do so, while many fathers believe they’re not up to the task, and that they’ve “failed” somehow. The culmination of this is the majority of the time, the kid grows more attached to the mom, ultimately resulting in the widespread belief that moms are better fit to raise their child with ASD. So now that we know what the current state of fathers is (for many, not all), what can we do to fix it? We can spread the word of course! Showcase the wonderful contributions dads have made to the community, highlight those dads who have gone above and beyond to make a difference in their child’s life, and try to persuade those who are unsure that they are just as important as their wife is. ***Update: Shortly after this blog was posted an article was released about a study done regarding dads’ involvement. iPads and apps are becoming more common as tools for communication and academic participation. The costs are still fairly prohibitive for many families, however. There are several ways to look for information on funding sources and other ideas for obtaining an iPad or iPad apps for your child. These are just a few. Be aware that things often change quickly in the online world. Organizations, grants, and other opportunities can come and go quickly, so these directories, such as the ones from Autism Speaks, Bridging Apps and iTaalk may provide links to organizations that are no longer active. For example, the Babies with iPads program is still listed in several directories, but gave away its last iPad in December 2014, saying it was just too difficult to continue to raise funds as a non-profit. Website Fundraisers – These websites will let you set up a campaign so that family and friends can donate funds. Holiday and birthday gifts. Ask friends and families to give Apple/iTune gift cards instead of other gifts. 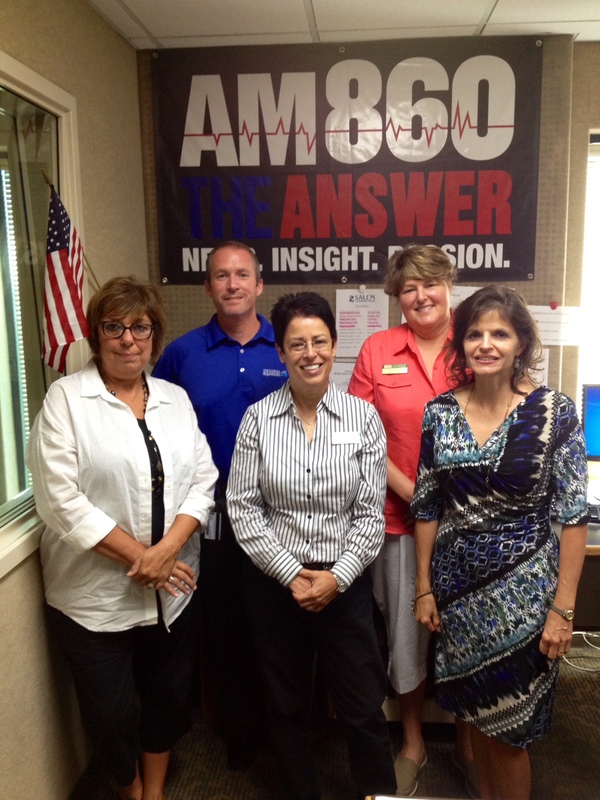 Local businesses, community, or charity groups sometimes help with community fundraising by having special events. Some credit cards give points that can be redeemed for an iPad or cash to purchase an iPad. Apps for Autism, Revised & Expanded Edition, by Jois Jean Brady, 2015. 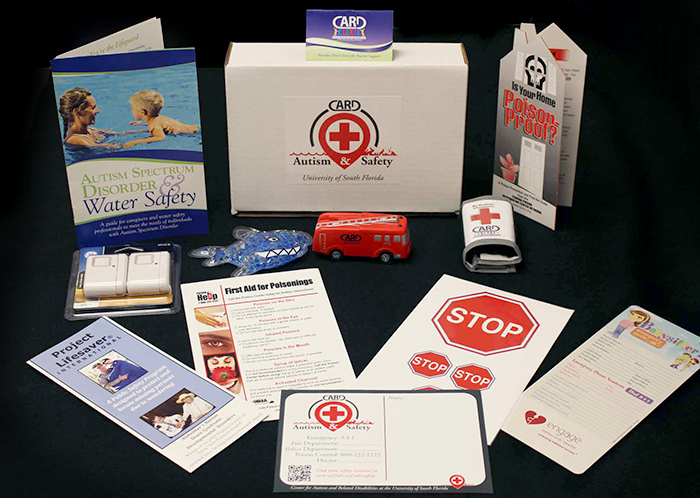 Safety is an important topic for the families CARD supports. As a result, we launched a campaign to address an array of safety concerns that an individual with an autism spectrum disorder may face. As a result of a generous donation to our USF Foundation Autism Services Fund, CARD purchased the supplies, created the materials and assembled a kit that is available to eligible individuals at no charge while supplies last. CARD-USF’s Autism and Safety Kit is designed to provide individuals with Autism Spectrum Disorder (ASD) and their families with tips, information, advice and resources to help those living with ASD stay out of harm’s way. I’ve been noticing something about myself recently; my interest in video games is declining rapidly. They simply don’t pique my interest in the same way they used to. However, something I do love is a good story, and story-driven games seem to be the one exception to this trend. So I decided to try out the 2011 title To the Moon, which I had heard good things about. I was expecting a solid, engaging story. What I got was so much more. It nearly brought me to tears, not only from the plot itself (which was terrific), but from two of the characters: River and Isabelle, both of whom are on the autism spectrum. So without further ado, here’s my “review” of To the Moon. I won’t spend too much time on this one, since it’s not the focus of this blog, but it is important to understand the basic gist of what’s going on in this world the writers have created. Basically, the story takes place somewhere in the unspecified future, where a controversial technology has been created that allows those who operate the machine to enter someone’s mind and alter their memories. The fictional Sigmund Corporation uses this method to grant the last wishes of people on their deathbed, who want to experience something they never got to do in their life. Our story opens up with 2 Sigmund employees, Dr. Neil Watts and Dr. Eva Rosalene, who have been contracted to fulfill the last request of an elderly man named Johnny Wyles, who wants to go to the moon, though he is unsure as to why. Along the way, we see Johnny’s life unfold through the eyes of Neil and Eva. Most importantly, we see Johnny’s now-deceased wife, River, before, after and even during her diagnosis with ASD. I won’t spoil any of the specifics of the story, both out of courtesy and for the sake of time, but I truly can’t recommend it enough. You do not have to be a gamer to enjoy To the Moon (in fact, with the exception of an arbitrary puzzle mini game every now and then, there’s no actual game play here besides walking around). We see two vastly different depictions of ASD in To the Moon, which I’m glad to see, considering how it is a spectrum and no two people on it act the same, something which is addressed in the story. As I mentioned before, there are two characters in the game with high-functioning autism (heavily implied to be Asperger’s, seeing as how this came out before ASD became the all-encompassing term), River and Isabelle. River never got diagnosed until she was already a middle-aged adult, and by that point it was too late for any real therapy. She spent her entire life being an outcast with little to no social skills, as well as habits that no one else could understand. The only people she connected with were Johnny and Isabelle, who could appreciate her. Speaking of Isabelle, she represents the other side of the coin. Her ASD was caught early on in life, and she was able to receive the help River never got, and as a result, emulate the behavior of the ‘neurotypicals’ as she calls them. You might think that Isabelle was the lucky one here, and in some ways you’d be correct, but Isabelle herself actually envies River. Since she went through so much therapy, she never really got to be her true self; she sees her entire persona as a mere facade. This really spoke to me on a deep level, because it brings up a major ethical question: is it truly better to change who you really are for the sake of fitting in with society’s expectations? For someone on the spectrum, whose way of life is preferable: River’s or Isabelle’s? To all the parents out there: do you think that treatments are worth it, if it means fundamentally changing who your child is? I don’t think that there’s a right or wrong answer either way; it’s situational and up to personal preference. But it’s a question that I certainly believe is worth asking. 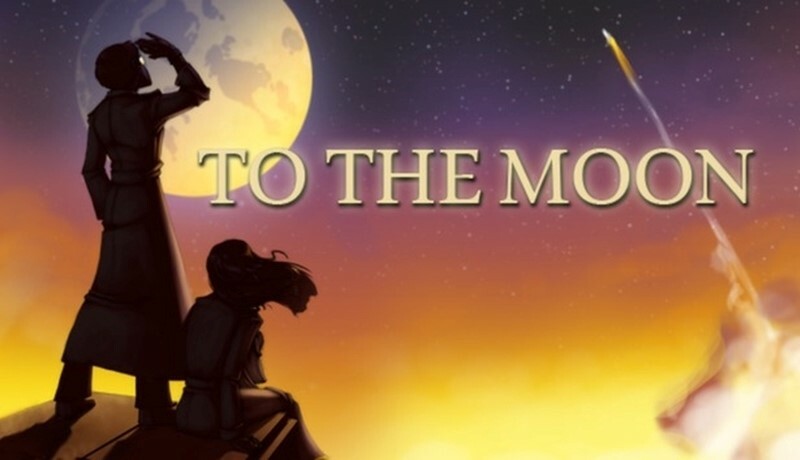 Overall, To the Moon was a satisfying experience, and I’m glad I picked it up. It explores its narrative in a way that the medium is reluctant to emulate. If you want an interesting take on ASD, alongside an emotional, at times heart-wrenching story about loss, regret and the power of love, then I suggest you try it out too.